Dr. Jana Ziegberman has been a practicing clinical audiologist for ten years. She has lived up and down the eastern seaboard including Florida, Boston, and New York but has been residing in Atlanta for the last three years. 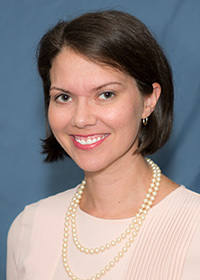 She obtained her Bachelors of Science in Communicative Disorders from University of Central Florida in 2001 and then received her Doctorate of Audiology at Nova Southeastern University in 2006. Dr. Ziegberman enjoys providing hearing healthcare to all populations; however her passion is working with pediatrics. While in Boston, she worked with the Department of Public Health on projects such as policies ensuring appropriate follow-up for infants that are high risk for hearing loss. Prior to working at North Fulton ENT, she provided diagnostic hearing evaluations, balance, evaluation, and dispensed hearing aids to all age populations. Dr. Ziegberman is licensed to practice Audiology in the state of Georgia and is a Board Certified Fellow of the American Academy of Audiology and a certified member of the American Speech-Language and Hearing Association. Dr. Ziegberman currently resides in Johns Creek with her husband and their daughter, Ezri. She spends her free time reading mysteries, enjoying time with her family, and working on home improvement projects in their new home.